It was near the end of the 1994-95 NHL campaign when Park, who was selected 50th overall by the Pittsburgh Penguins in the 1994 Entry Draft, got his first shot at hockey's highest level. He responded with one assist in his first game before appearing in three playoff games with the Eastern Conference club. And now, after time spent with other big-league teams and stints in the International Hockey League, American Hockey League and Europe, the 35-year-old right winger is back in Pennsylvania, a welcome return to NHL circles and familiar surroundings. He spent three seasons in Minnesota from 2001–02 to 2003–04 where he achieved career highs in games played (81), goals scored (14), assists earned (15), and points (25). During the Wild's surprise 2003 Stanley Cup run, Park scored the winning goal in overtime in Game 6 of the Western Conference Quarterfinals against the Colorado Avalanche. During the 2004–05 NHL lockout, he played in Europe as a member of Team USA who went on to capture the 2004 Deutschland Cup. He also signed on to play in Sweden and Switzerland with the Malmö Redhawks and SCL Tigers, respectively. On August 8, 2005 prior to the 2005–06 season, Park signed a one-year contract as a free agent with the Vancouver Canucks. At the end of his contract, he inked a two-year deal with the New York Islanders. In the spring of 2008, Park was named the recipient of the Bob Nystrom Award, awarded annually to the Islander ""who best exemplifies leadership, hustle and dedication."" He served as the Islanders alternate captain in the 2008–09 season. 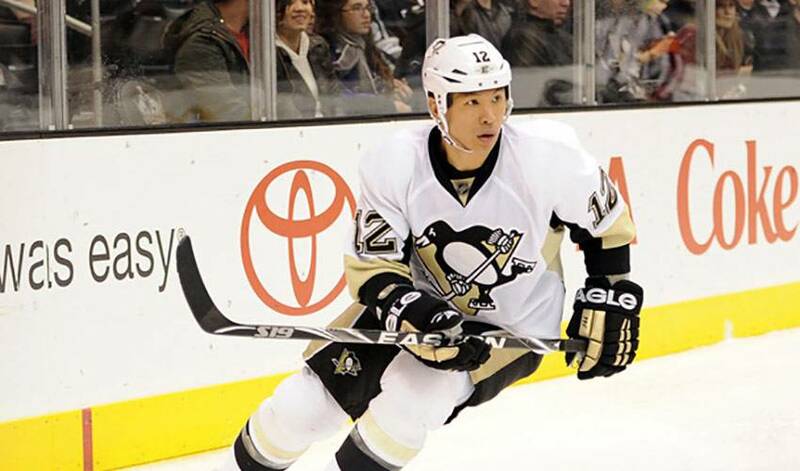 And now, after a series of interesting journeys and different destinations, Park, who had 41 goals in 1998-99 with the AHL's Philadelphia Phantoms, is eager to contribute to a Penguins' squad with their eye on hockey's top team prize. Park has familiar faces to play alongside. It's something Park hasn't taken for granted. Park has also established a rapport with the franchise he launched his NHL career with, a well-respected player revered for his unselfish style. A solid penalty killer, he entered 2011-12 with 14 career shorthanded goals, including a career-high four in 2007-08. As for his second turn with Pittsburgh, Park is happy to be back on familiar ground, in a place that feels just like home.